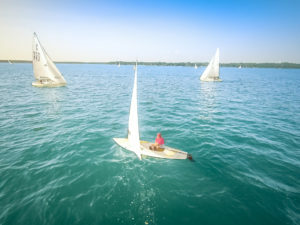 Meet sailors and racers from all over midwest. Pick up rigging tips, racing tips, and learn about racing sailboats in a fleet of Sunfish! Oh, and this is also a good time to prep for the North Americans later this year. For more information about the regatta, click to see the regatta Notice of Race! Contact our Commodore at commodore@gulllakesailingclub.org for details.